We are a local Home Renovations and Custom Building, Outdoor Living Spaces firm serving both home and business/property owners. Save $$Money$$ on Home Improvements and Get Quality Home Renovation Work Done! Over 90% of our new business comes from referrals. Choosing the wrong contractor--will cost you time, money and peace of mind. Choosing an experienced and trusted home improvement firm will yield great satisfaction, and in the end will save you time and money. We need to interact a lot with the homeowner, How are they going to use their homes? Are they the type who likes to entertain a lot, or are they private people? We have some clients who are very big in charitable and philanthropic events, and they need to have outdoor areas that can easily hold 100 people on a somewhat regular basis. So that begins dictating how large some of the Hardscape areas are going to be versus sunroom - deck areas, You don't design the patio, You design the party. Understanding how the home and a space are being used. "Sales - DP and Associates. One of the greatest values appreciated by our clients is our discretion. We respect our clients privacy and do not share any client or project information without explicit permission. DP and Associates is one of the area’s leading Full Site Development Companies, recognizes our customers have a choice when it comes to selecting a contractor to work on their property. We would like to have a moment and state clear what makes DP and Associates different from our competitors. DP and Associates , has been in the business for a number of years now. Through these years, our core group of individuals, including president and foremen, has remained the same. Over this time, we have acquired a certain level of integrity and craftsmanship that is uncommon in the industry. A well deserved reputation as skilled and respectable contractors attentive to the customer’s wishes and budget. "View Our older Custom Master Plan Projects"
What does this mean and how do you achieve it? DP and Associates and ASSOCIATES. Thinks of custom Renovations and Landscape design as being the process of melding your ideas and desires with our experience and expertise. This type of design and build can only be achieved through excellent communication and relationship building. 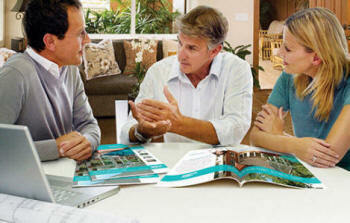 DP and Associates, prides itself on 18 plus years of experience in providing just that to our clients. Whether it is a simple patio or a fully involved home renovation, we have the ability and skills to design and develop any project imaginable. Allow us to show you how our 18 plus years of experience can work for you. Master Plans are usually implemented in stages--not generally all at once. Master Plans are works in progress. "The growth and success of DP and Associates can only be as good as our service to our customers. We are a highly-trained group of professional designers-craftsman extremely specialized in designing and producing the very best quality possible, to achieve our customer's needs. But foremost, we are a service organization committed to achieving excellence within our Industry, by producing the kind of service and results deserved by our most precious resource, a satisfied DP and Associates customer. "The Staff at DP and Associates"
Our company is attractive to homeowners because we have introduced a new level of professionalism to the construction industry. In these days of increasing concerns about security, many homeowners are leery of allowing a stranger into their homes. Knowing they are working with a professional organization relieves these customers' anxiety. In addition, we offer our customers the advantages of approved, qualified and monitored craftsmen; Further, through our pool of craftsmen, we offer one-stop shopping for a variety of home owner's needs. All of these benefits make DP and Associates the perfect choice for homeowners.